I don't know if there was one specific moment where Rob first felt like my husband to me, but I do know that it wasn't something that happened the moment we said "I do." It happened, like most things, with just a bit more time. Today, a little over a month later, I really feel like I have a husband. But on the night of our wedding, after the reception, everyone gathered at a bar downtown and one of my uncles asked me if I felt married. I had changed into a little white cocktail dress and my hair was still up and I felt different, yes, but married? Not quite. I wasn't sure if that was the right answer, but it was the truth. We meant every word of our vows, but it took a few days for things to sink in. 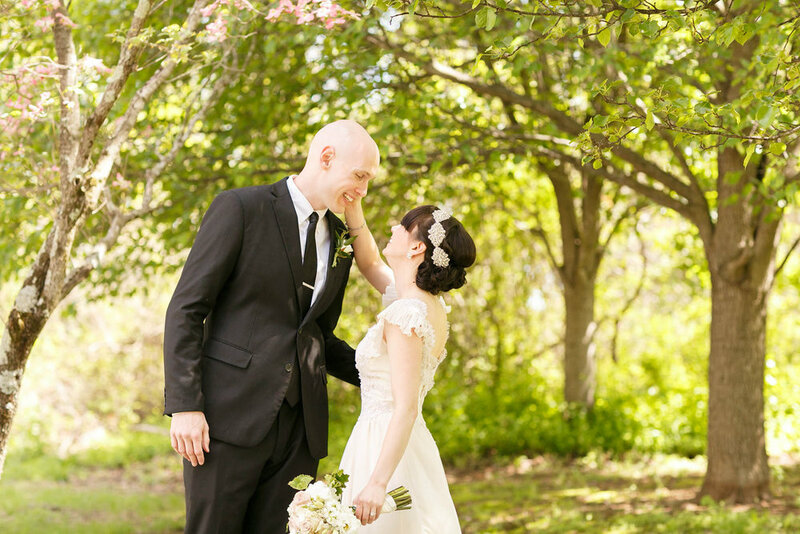 I surprised myself two times--the first when I didn't cry during our ceremony, and again when one afternoon on our honeymoon, I cried fiercely as Rob so sweetly brought me water and crackers after I found myself in bed with a hangover. I was so happy in that moment--nauseated and sun-burnt as I was, but just feeling so blissfully lucky and downright blessed. Maybe that was the first time I felt like I had a husband. He has taken care of me countless times before, but something in that moment felt very different. Until that moment, he was the man with whom I've shared the past five years; the man who supports and encourages me every day and rubs my back in bed every night; who is so kind to my friends, and who always offers me the last piece of sushi, even when we both know well that it belongs to him because I generally eat twice as fast as any reasonable person should. He is still all of those things. But now he is also the man who so recently stood up in front of our friends and family and held my hands in his as he said I take you Megan to be my wife, to have and to hold from this day forward, for better or for worse, for richer, for poorer, in sickness and in health, to love and to cherish until death do us part. I am sure he will continue be many more new things in the years to come. But he's always going to be my husband, and that is certain and wonderful.